The Flash Brothers are an Israeli trio(The three brothers-Ruven, Ilan and Shmuel Flaishler) that broke into the UK market under the name FLASH with the release of 'The Day After/Megatron' through Perfecto in October 2001. The brothers' careers are expanding tremendously with a second single coming out soon again through Perfecto entitled 'Closing Session(The Day After Remix). This single is already in Oakey's top 10 and supported by DJs like Nick Warren. Shmuel Flash has produced some amazing tracks. On of the most popular of these is 'Chilling Moments' which has recently gotten a release on Bedrock and has been played by the world's top DJs including Sasha & Digweed on their US tour this year. Although he does produce tracks with his brothers, Shmuel's style differs from the collaborated tracks. 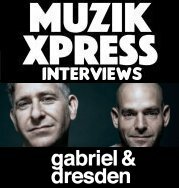 He describes his own productions as "more dark and spacey", whereas the tracks produced with his brothers are more uplifting progressive house. Shmuel has some other releases out on Bedrock(Deep Amok-Shades/Darkness) and Paolo Mojo's label Enter Music(Shmuel Flash-The Other Side Of Me/Deeper Skies). If you haven't heard his productions, run out and buy them. He is truly a unique producer and deffinitely one to watch in the coming months. on Hooj, which again has been an amazing success witht he likes of Anthony Pappa giving it serious attention. Where next for the Flash Brothers?!?! ?